Phoebus provides the capability to manage inventory, ensuring full visibility of product, intermediate and raw material items, while also delivering lot and batch control. The Inventory module comprises Inventory Management and Inventory Traceability, with additional options, Costing, delivering Landed Costing and Cost Analysis, and Product Profiles. The solution enables greater control over inventory levels, without forfeiting essential customer service levels. Keep your assets organized and classified to multiple catgories. Separate purchased stock, consignment stock, rental stock and non-inventory stock. Multi costing for one item. Classified item by condition : A- brand new. B – 75%. C – 50%. D – junk..
Use barcode scanners to manage your inventory more quickly and accurately. Phoebus Inventory is compatible with most barcode scanners you can plug into your computer. 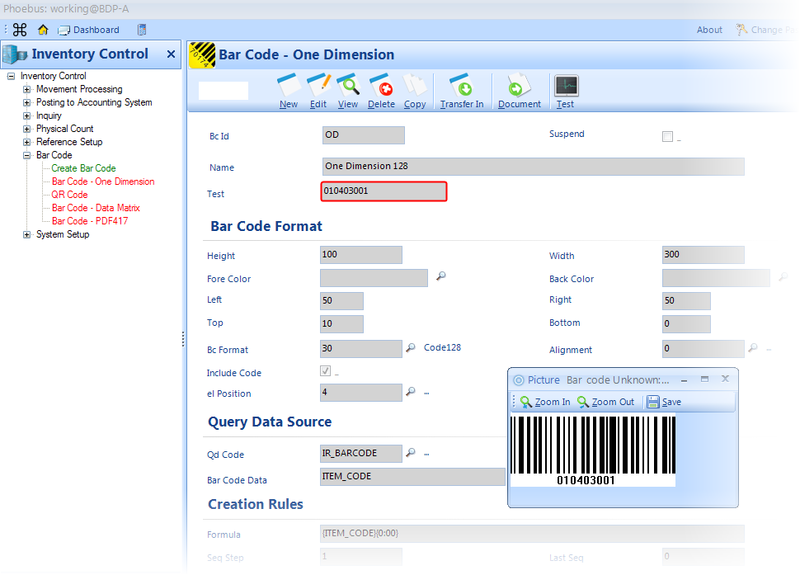 Barcode can be integrated to item label report. 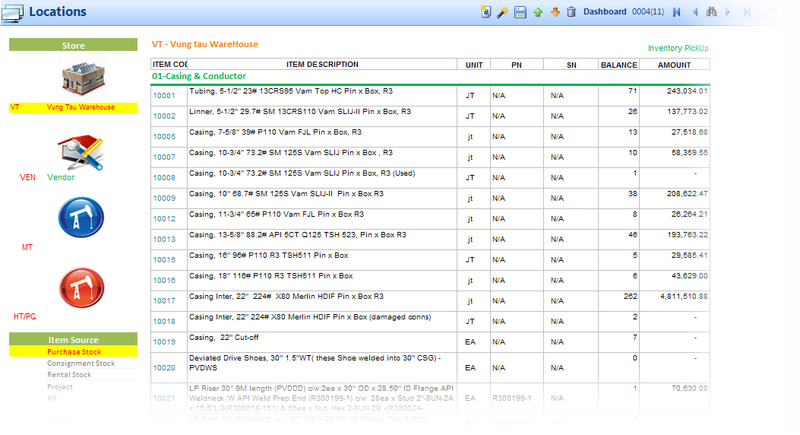 Track inventory in multiple locations: Base, Rig Site, At service company . 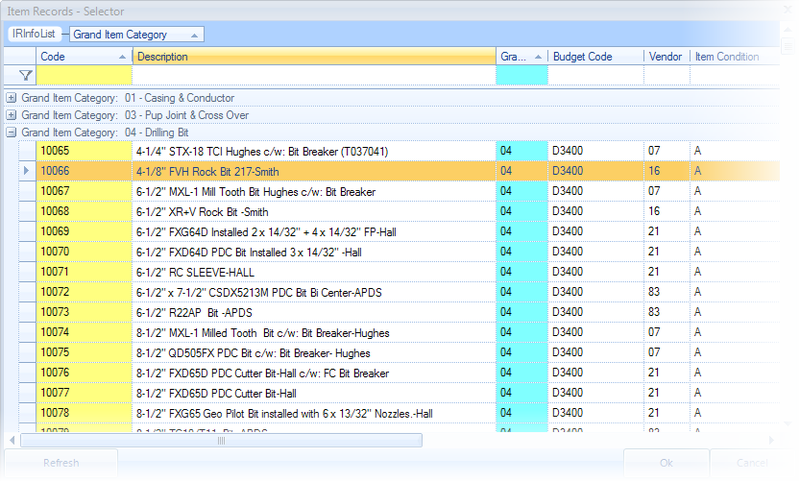 Use sublocations to more precisely track aisle numbers, bin numbers, etc. 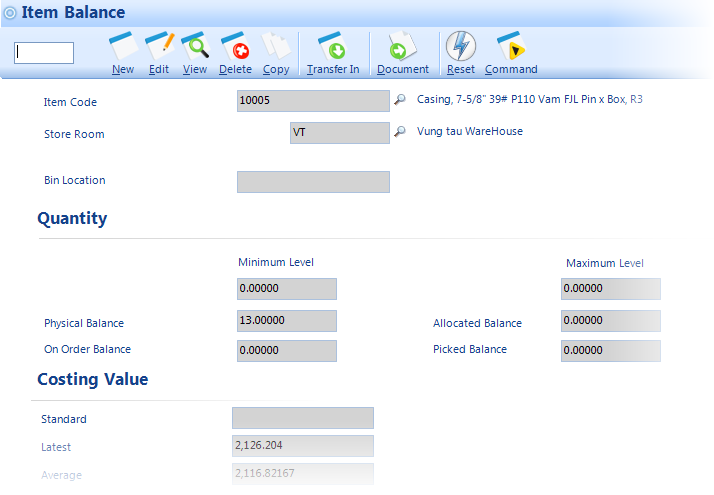 Setup minimum and maximum quatity of stock to automatically generate ReOrders report for item that are low in stock, or warning when stock level is under minimum. Get a full history of any inventory movements or adjustments to track down any item from purchasing to consumption. Keep values of inventory movement in many currency. Automatic convert transaction currency to Base Amount. Phoebus also comes in English, Russian, Vietnamese. Phoebus allows you to rename any labels or messages within the software. You can also add your own new extra custom fields. Have everyone working off the same data in real time using web-base Phoebus. You can have everyone's computers connected over the internet! Phoebus Mailing will automatic send email to responsible persons on regular basis or on event basis. Restrict who has access to see or modify what. Phoebus allows you to create different login users, each with a different set of access rights. Easy import/Export any data from Phoebus from/to Excel.